KIEV, Ukraine -- Hennadiy Moskal takes the mystery out of how the nation’s law enforcers operate. “The system of justice is rotten to the core,” said Moskal, a former police general, deputy interior minister and chief of police in Crimea, as well as a current parliamentarian from the Our Ukraine group. Hennadiy Moskal takes the mystery out of how the nation’s law enforcers operate. 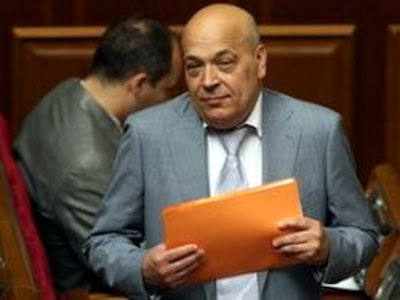 Moskal, 59, was named interior minister in ex-Prime Minister Yulia Tymoshenko’s shadow opposition cabinet on March 18. “Political allegiance is a prerequisite for being appointed” to any top position in Ukraine’s feudal power structure, Moskal said. Be it a job in government, the courts or law enforcement, the country is run by rival business and political groups, according to Moskal. If your side is in power, you get the job and cash by collecting bribes for favors, grabbing lucrative assets, charging for get-out-of-jail-free-cards, or putting opponents behind bars temporarily to smooth your activities. Caught up in the middle and totally defenseless are average and cash-strapped citizens. One of Yanukovych’s first moves was to ask police chiefs in charge of the country’s 27 regions to resign, a step that Moskal said proves that cronyism and not professionalism rules the day. “Perhaps there is a reserve of qualified replacements, but if Yanukovych appoints them the same way he chose the interior minister, the future of law enforcement looks bleak,” Moskal said. Moskal, however, said Ukrainians have no one to blame but themselves. “Many people from Crimea have called me and asked, ‘What is going on? This is crazy.’ I say, 'Listen, this is what you wanted. Some 1.5 million people cast votes in Crimea during the first round. Only 1.2 million showed up in the second, and 800,000 of them voted for Yanukovych.’ Who can you blame except for yourselves?” Moskal said. “I don’t think Yanukovych has bad intentions. He simply wants a top-down presidential system of governance. But he doesn’t understand that he will be giving orders and down below no one will being carrying them out. With all due respect to Donetsk Oblast, (where Yanukovych ruled for many years as governor and home to his billionaire backers) the region is incapable of producing enough law-enforcement professionals to staff the entire Internal Affairs Ministry. “There used to be a golden rule during Soviet times. If a minister from Donbas was appointed, then all his assistants had to come from other regions. There could not be one deputy minister or bureau chief from the same region as the minister,” Moskal said.